Approx. 6”H x 3”D. 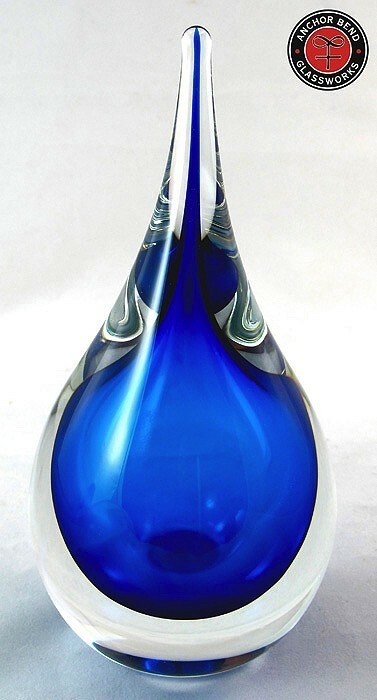 Anchor Bend Glassworks continues to share and showcase their love for the ocean with their latest aquatic themed design, the hand blown glass Water Drop. The transparent and tranquil aquamarine core color is encased in a layer of clear glass, resulting in beautiful and playful optic effects which vary depending on the source of light and angle from which one observes the piece. 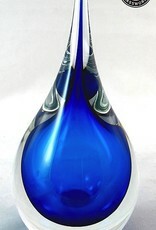 The Water Drop Sculpture highlights the fluidity of water, a universal symbol and sustainer of life. Each one is produced with pride in the Ocean State and hand-signed by the Anchor Bend Team.